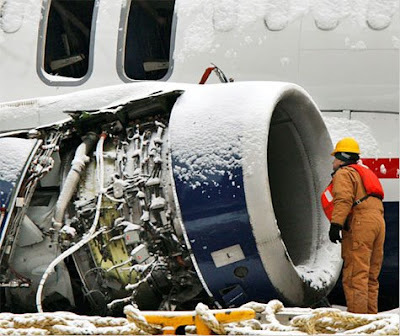 A feather was found on Wednesday in the right engine of the US Airways Airbus A320 that splashed into the Hudson last week. "Birds of a feather, do flock together"
Seems that some kind of grating could be placed over those engines, like they have on outboard motors to protect the Manatee. Where is PETA, LOL!